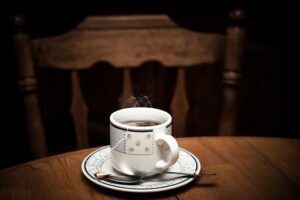 Ever wondered what Hygge is all about? We did too. We investigated, and following are our thoughts on hygge and why it should be a part of your life. Stuff. We’ve all got it – probably too much of it. Sometimes it seems to take over our living space. The KonMari Method will help you tidy up your space and keep it that way! No kidding! Before you reach a point of frustration and spend a weekend (or more) putting things back in order, give KonMari a try. Don’t get caught in the vicious cycle of tidying, cluttering, tidying, cluttering. You can break the cycle with the KonMari method! Have you tried yoga yet? At Sisters Know Best, we love yoga because it helps with so many areas of health and wellbeing. Did you know there’s actually different styles of yoga and each one has a focus? Depending on your goals and needs, certain styles of yoga can be best for you. Remember, before starting a practice, be sure you speak with your doctor and the teacher to ensure you’re physically able to participate in the class and that you fully understand what to expect. We love board games. On cool nights and lousy winter weekends, they’re a great way to spend time together laughing and bonding. On occasion, we’ll have friends over for a “game night.” There are so many genres of games, it’s easy to find something for everyone. Whether you like Trivia, Strategy, Memory or something else, there’s a board game for you. 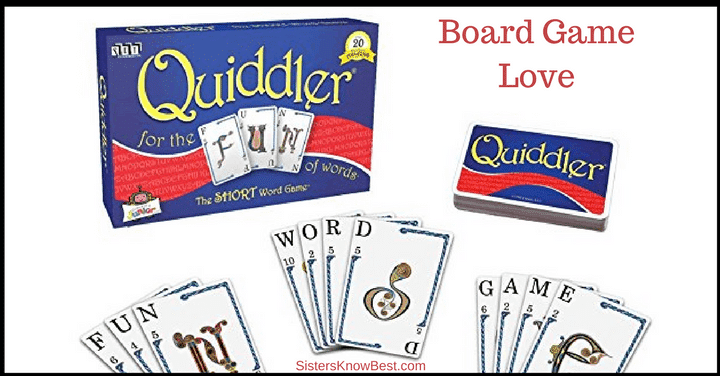 Today, I’m going to tell you about one of my new favorites – Quiddler!